While every state has immunization requirements, almost all allow parents who object to vaccinations for religious or philosophical reasons to opt out. California, Mississippi, and West Virginia stand alone in offering only medical exemptions. Yet while parents of public school students may claim an exemption and bypass the state’s vaccination requirements for their children, homeschooled students in most states are not subject to these vaccination requirements to begin with, and even when they are, they are rarely required to submit documentation showing proof of immunization or registering a religious or philosophical objection. In most states, immunization laws are written to apply to public, private, and sometimes parochial schools specifically. Because homeschools are not defined as “schools” in these states, they are often exempt. In some states, homeschools are defined as private schools and are thus subject to vaccine requirements, while in other states all children are required to be vaccinated regardless of whether they attend school, which homeschooled students. Yet even states that technically require homeschooled students to be vaccinated generally do not require homeschooling parents to submit any documentation of compliance. As a result, even states that do require homeschooled children to be vaccinated rarely enforce this requirement. Some states give homeschooling parents options, such as allowing them to either homeschool through the school district or through an umbrella school. The vaccination requirements in these states often depend on which legal option parents choose for their homeschool. Yes — Homeschooled students are covered in the state’s immunization requirements, and parents must submit proof of immunization or documentation of exemption to the school district or other authority. Yes* — Homeschooled students are covered in the state’s immunization requirements, and parents must keep records of immunization or exemption on file, but are not required to submit these records. Parents may be required to submit the records if specifically requested by the school. Yes** — Homeschooled students are covered in the state’s immunization requirements, but there is no provision explicitly requiring homeschool parents to maintain records of immunization or exemption, and parents who do maintain these records are not required to submit them to anyone. No — Homeschooled students are not covered in the state’s immunization requirements. Alabama No: Only students who attend public and private schools are required to be immunized. In Alabama, homeschooling takes place under the church school law or private tutor statute, neither of which are considered private schools. See here. Alaska No/Yes: Only students who attend public or private schools are required to be vaccinated. Homeschooled students are not considered private school students. Immunizations are required for students homeschooled through Alaska’s correspondence school programs. See here. Arizona No: Immunization requirements apply only to “public, private, or parochial schools.” A homeschool is defined as “a nonpublic school conducted primarily by the parent, guardian or other person who has custody of the child,” and is not considered a private school. Arkansas No: Homeschoolers do not need to be vaccinated; immunization requirements only apply to public and private schools, and homeschools are not considered private schools. See here and here and here. California No: In 2015, California amended its immunization law to eliminate the state’s religious and personal vaccine exemptions. The law as amended now states that the section outlining the state’s immunization requirements “does not apply to a pupil in a home-based private school or a pupil who is enrolled in an independent study program . . . and does not receive classroom-based instruction.” See here. Colorado Yes*: Parents homeschooling under the homeschool statute must keep immunization records but not submit them. These records must be produced to the school district should the superintendent have probable cause to believe that the homeschool is out of compliance with the law. Parents homeschooling as private schools under the umbrella school option must keep immunization records but not submit them. The Department of Public Health and Environment’s representative shall have the right to audit and verify records to determine compliance with the law. Parents homeschooling under the private tutor option do not need to vaccinate their children. See here and here. Connecticut No: Immunization requirements apply only to those “enrolled in school”, which homeschoolers are not. See here. Delaware No: Immunization requirements apply only to those enrolling in public and private schools. Homeschooled students in Delaware are considered nonpublic school students, but are not considered private school students. See here and here and here. Florida No/Yes: Students homeschooled under the homeschool statute are technically in a “home education program” and not a school; only children who enroll in school are required to vaccinate. Students homeschooled in an umbrella/private school must be vaccinated and the school must keep a record. Students homeschooled under the private tutor option are not required to be vaccinated. See here. Georgia No: Students homeschooled under a “home study program” are not required to be vaccinated; only schools are required to vaccinate. Georgia refers to homeschools as “home study programs.” The immunization requirements apply to children who attend a school. Hawaii No: Only students who attend school are required to be vaccinated. As homeschooled students are not considered to attend a public or private school, they are not required to be vaccinated. Idaho No: Students who are being “privately instructed” in homeschools are not required to be vaccinated; only children who attend public, private, or parochial schools must be vaccinated. Illinois Yes*: Immunization requirements apply to those entering “school programs,” including public, private, and parochial schools. In Illinois, homeschools function as private schools. According to state law, Illinois State Board of Education may require private schools to submit information on their students’ vaccination. However, the ISBE does not require homeschools to submit this information at this time. See here and here. Indiana Yes*: All Indiana children are required to be vaccinated. In Indiana, homeschools operate as private schools. All schools, including private schools, must keep uniform immunization records. However, they are not required to submit them. Iowa Yes**/Yes: All children are required to be immunized. Students homeschooled under independent private instruction or “competent private instruction by a licensed person” are not required to submit immunization records to any person or institution while students homeschooled by a certified teacher are required to submit a copy of their vaccination records to the local school district each school year. Kansas Yes*: Homeschools operate under the private school law. While private school students are required to be vaccinated, proof of vaccination must only be submitted to the school’s “governing authority,” which in case of homeschools is the parents. See here. Kentucky Yes*: Homeschooled children are required to be immunized, as are all children. Homeschools operate as private schools, which are required to keep a record of vaccinations. However, they are not required to submit it to anyone. Louisiana No/Yes*: Immunization is required for school attendance. Homeschools operating under the state’s homeschool law are required schools solely for the purpose of satisfying the compulsory attendance law, and are thus exempt from this requirement. There is one exception to this rule: When children turn 11, parents homeschooling under the homeschool statute must submit proof of having had a meningococcal vaccine to the State Board of Elementary and Secondary Education. See here. Homeschools operating under the state’s private school law must keep immunization records on file, but are not required to submit them. Maine No/Yes*: All children are required to be vaccinated; however, “home instruction programs” are not schools so parents operating under the homeschool statute are not required to keep a record of vaccination. Some homeschooling parents operate under the state’s private school law. These parents are required to have their children vaccinated and to keep a record on file of vaccination, but they are not required to submit it anywhere, except in cases where they are homeschooling under an umbrella school. Maryland No/Yes: Children educated under the homeschool statute are not required to be vaccinated. However, parents homeschooling under the oversight of a church school or private school are required to vaccinate and to submit immunization records to the governing school. Massachusetts No: Immunization is required as a condition for school attendance. Homeschools are not categorized as schools. Michigan Yes**/Yes*: All children are required to be vaccinated. Parents homeschooling under the state’s homeschool law are not required to keep records of their children’s vaccinations. Parents homeschooling under the private school law need only keep immunization records on file, and need not submit them. Minnesota Yes: All homeschoolers must file immunization records with the local superintendent upon starting homeschooling. Mississippi No: Children must be vaccinated to attend school; however, “home instruction programs” are not categorized as schools. Mississippi is one of two states that does not allow either religious or philosophical exemptions to vaccinations. Missouri No: The immunization requirement applies only to students at “public, private, parochial, and parish schools”, but homeschools are not categorized as private, parochial, or parish schools. See here. Montana Yes*: Homeschooled students must be immunized. Parents must maintain immunization records and make them available to the superintendent upon request. They are not required to submit them as part of their annual affidavit. Nebraska Yes*/No: All homeschools operate as exempt private schools, but parents must choose whether to operate under Rule 12 (non-religious) or Rule 13 (religious). Children homeschooled under Rule 12 must be immunized. However, immunization records are simply required to be maintained by the parents and need not be submitted. Students homeschooled under rule 13 are not required to be immunized. See here. Nevada No: Immunization is required for students entering public and private schools. Homeschools are not categorized as schools. New Hampshire No: Immunization is required for entry to school. See here. Homeschools are not categorized as schools. 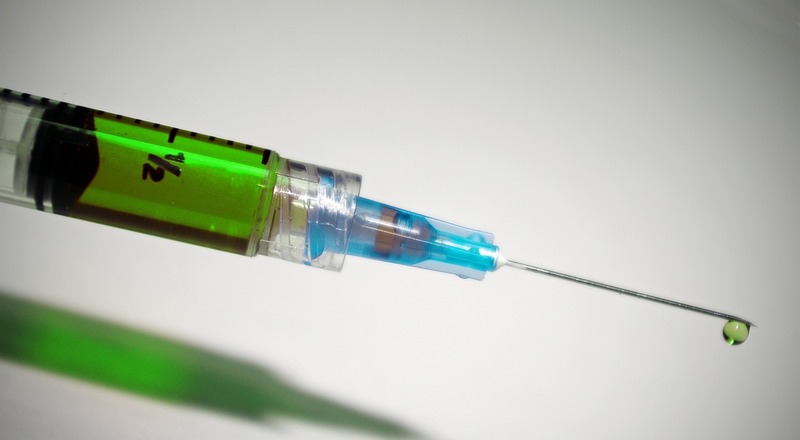 New Mexico Yes*: Homeschooled students are required to be immunized. However, while parents are required to “maintain” immunization records, they are not required to submit them to anyone. New York No: Immunizations are required for students attending “public, private or parochial” schools. Homeschooling is considered instruction “elsewhere,” and homeschools are not considered private or parochial schools. North Carolina Yes*: Homeschooled students are required to be immunized. However, while parents are required to keep proof of immunization or exemption on file, they are not required to submit it, and while state education officials are permitted by law to visit and view the documentation, they do not have the resources to do so. North Dakota Yes: Homeschooled students are required to be immunized. Parents must submit a certification of immunization or exemption. See here. Ohio No: Immunizations are required for children attending public school and private schools subject to the state board of education’s minimum standards. See here. Students homeschooled under the state’s homeschool statute or through exempt 08 schools are thus exempt from state vaccination requirements. Oklahoma No: Immunizations are required for children attending any “public, private, or parochial school.” Homeschools are not categorized as private or parochial schools. See here. Oregon No: Immunization is required as a condition of attendance at any school. Oregon law states explicitly that homeschools are not considered private schools. See here. Pennsylvania Yes: Homeschooled students are required to be immunized. Parents must submit proof of immunization in their annual affidavit. See here. Rhode Island No: All students enrolled in public or private schools are required to be immunized. See here. Homeschooling is defined as “at-home instruction” and homeschools are not categorized as private schools. South Carolina No: All “school pupils” are required to be immunized. Homeschools are classed as home instruction rather than as schools. South Dakota No: South Dakota law requires immunizations for all children entering school. See here. Homeschooling in South Dakota is considered “alternative instruction,” and homeschools are not categorized as schools. Tennessee Yes: All homeschooled students are required to be immunized. Students homeschooled under the oversight of their local school district must submit proof of immunization or exemption to the school district. See here. Students homeschooled through church-related umbrella schools must submit proof of immunization or exemption to the church school. Texas Yes**: State law requires immunizations for every child. Furthermore, homeschools in Texas function under the state’s private school law, and immunization is required for entry to a private school. However, private schools, including homeschools, are not required to maintain or submit immunization or exemption records. See here and here. Utah No: Immunizations are required for students who attend “public, private, or parochial” schools. Homeschools are not considered private schools. Homeschooled students are not required to be immunized. See here and here. Vermont No: Only children who enroll in a school are required to be immunized. Home study programs are not considered schools. See here. Virginia Yes*: Students homeschooled under both the homeschool law and the religious exemption must be immunized. Parents must keep records of immunization or exemption on hand to show the superintendent upon request. See here. Washington No/Yes: Students homeschooled under the homeschool law are not considered private school students and thus are not required to be immunized. Students educated at home as extension students of private schools must present proof of immunization or exemption to the private school. See here and here. West Virginia No: Only children entering school are required to be immunized. Home instruction is considered an exemption from attendance at school. West Virginia is one of two states without non-medical vaccination exemptions for public and private school students. See here. Wisconsin No: Only children who are admitted to school are required to be immunized. Homeschooled students are enrolled in “home-based private educational programs,” which are not considered “schools.” See here. Wyoming Yes**: Homeschooling takes place under the state’s provision for “home-based educational programs.” In its definitions, the state’s education statute states that private schools “may include” home-based educational programs. Private schools must require immunizations and keep proof of immunization or exemption on file as part of the student’s records. However, the statute for “home-based educational programs” does not reference immunizations or immunization records, meaning that there is no review of immunization records, and that this requirement is not made explicit. See here.